The CBS late afternoon national game (Dolphins/Broncos or 49ers/Redskins) scored a 17.4 household rating with a 31 share for the window — its second-best performance for the national game on CBS trailing November 2nd’s 18.6/32 (Broncos/Patriots). Meanwhile the overnight household rating for the Dallas Cowboys vs. NY Giants rating was a 14.0 with a 22 percent share. That’s the best Sunday Night Football overnight rating since Broncos/49ers (when Manning set the career TD record) on October 19, but it seems kind of low* considering the two teams and that it was a close game. 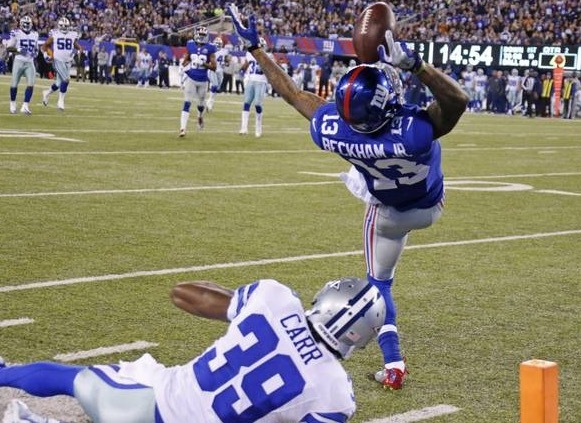 *Update: indeed, it was the lowest-rating for a Cowboys/Giants matchup on Sunday Night Football since 2007. The game peaked from 11:30-11:45p with a 15.3/29 rating/share. The top 10 local markets for the Sunday night game were.